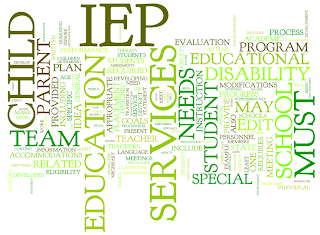 There are few things that cause me as much anxiety as an IEP Meeting. I've now sat through at least 10, but things never change. I'm always terrified going in. I always expect things to go badly. I always anticipate that there are more problems than anyone knows how to fix. It never happens that way, but that's what I envision. Then I have to go home and start the process all over again. That's what I'm in the middle of right now. Ballerina had her review meeting on Wednesday this week since she's been in school for just over 7 weeks. Her preschool program design was 1-on-1 with a strong ABA focus (some students spent upwards of 4-5 hours/day [out of the 6 they were there] working at the table doing ABA trials). But Ballerina had spent much of last year practicing being in a pre-K or a Kindergarten classroom with her NT peers. But she still had that support behind her. She still knew that if she didn't behave, there was a safety net to catch her when she fell. Now that she's in a general education Kindergarten classroom, that safety net has been taken away. She's in a new school with new faces and new policies and procedures. "New" is not something that Ballerina does well. I knew that she had been having problems making the adjustment, and as a team, we needed to sit down and strategize how to make this work for her. 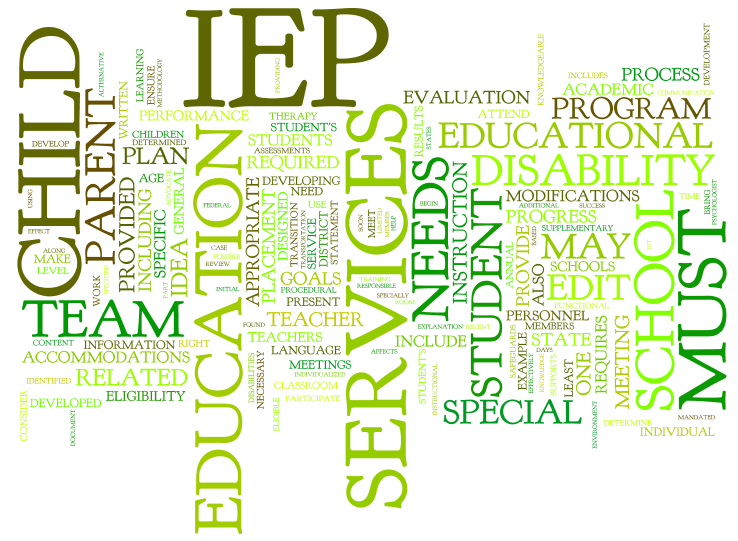 When you walk into the school office on IEP Day, you see the team in the meeting room. They're talking about your child without you. What are they saying? What decisions are they making? Are they discussing strategies to convince you (as a parent) of things that they want to do when they know that your opinion doesn't match theirs? This is what my sleep-deprived mind comes up with (because I never sleep well before an IEP Meeting). But eventually, they call you in to join the discussion. And, if you are like me, you realize that your opinion DOES count. They want to hear what you have to say. They want to work with you to make your child's school story a successful one. This is what happens for every meeting I have attended to date. It was even true for yesterday's meeting. Yet I do this to myself every single time. It gets to the point where, when I have a few moments to reflect at the end of the day once the meeting is done, I realize I had spent the whole day holding my breath and feeling my chest and stomach twist themselves into tight knots. I find myself talking myself down......"They're not out to get you......They're here to help your daughter......You're working together as a team!". I tell myself this, not something to calm me down, but because it is the truth. We have been very lucky to date in this fact. The school really wants my children to succeed.....almost as much as I do. But you know what? I have another meeting next week (Tuesday) for Music Man. This will be his annual review meeting. Because I've been focused on Ballerina, I still haven't gone through the paperwork that was sent home.....the draft IEP, the teacher report, the progress notes.....none of it. And I've given myself Thursday off because of how I felt after Ballerina's meeting. But I can already feel it all starting again. I know this school and the administration. Most of the people working with Music Man are the same individuals working with Ballerina. I know they want to see his success. But it's still walking into an IEP Meeting. It's still a nightmare realized. My name is Ilene and I'm a happily married and sleep deprived SAHM raising 3 amazing children. My older son is a typical second grader who loves to play soccer, spend time with the Cub Scouts, and play video games. My other two children are just as amazing, but they have their own unique issues. They are 5 year old girl/boy twins (Ballerina and Music Man) who are both in Kindergarten, and who both have Autism. I blog whenever things feel like I should blog, which is quite often. I write about whatever is on my mind, I try to advocate for my own children and offer advice to others (when they ask), and I share our stories. If you would like, you are welcome to visit my blog or come to the Facebook page that I administer. Thanks for reading my stories. Happy 1st Birthday To My Little Survivor!